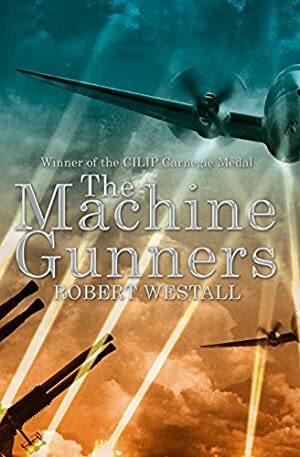 The Machine Gunners is Robert Westall's gripping first novel for children set during World War Two and winner of the Carnegie Medal. Now with a brilliant cover look celebrating its fortieth anniversary. Includes a bonus short story - 'The Haunting of Chas McGill' - and an extended biography of the author. Track It. This book has been £2.84 within the past year. Log In to track Robert Westall on eReaderIQ. to be notified each time the price drops on any book by Robert Westall. to stop tracking Robert Westall. We started tracking this book on March 19, 2013. This book was £3.30 when we started tracking it. The price of this book has changed 58 times in the past 2,221 days. The current price of this book is £3.75 last checked 4 hours ago. This lowest price this book has been offered at in the past year is £2.84. The lowest price to date was £2.84 last reached on March 28, 2019. This book has been £2.84 2 times since we started tracking it. The highest price to date was £3.99 last reached on September 2, 2018. This book has been £3.99 12 times since we started tracking it. We last verified the price of this book about 4 hours ago. At that time, the price was £3.75. This price is subject to change. The price displayed on the Amazon.co.uk website at the time of purchase is the price you will pay for this book. Please confirm the price before making any purchases.